Physical movements are an essential part of everyday life. Our body is constantly burdened in every direction – forwards, backwards, to the side, rotationally – in synchronized and sequential order. During every movement, and while performing the TRX workout, we use whole body as a coordinated unit. At the same time, we improve our stability, flexibility and coordination. Only through proper performance we strengthen those muscles, which we intend to exercise. Apart from getting better your performance (faster throw, hit or run), your high-quality training also serves as a protection of your organism against injury. Whether we exercise with weights in a gym or with the TRX System at home. 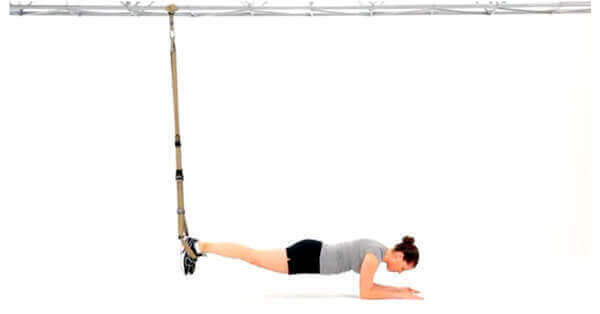 Incorrect implementation of TRX exercises may lead to back pain or joint pain. 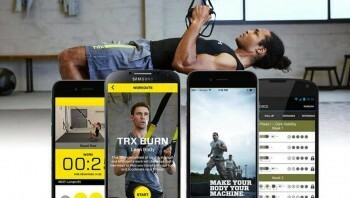 At the same time, effectiveness of carried out exercises, and of entire TRX workout, is reduced. 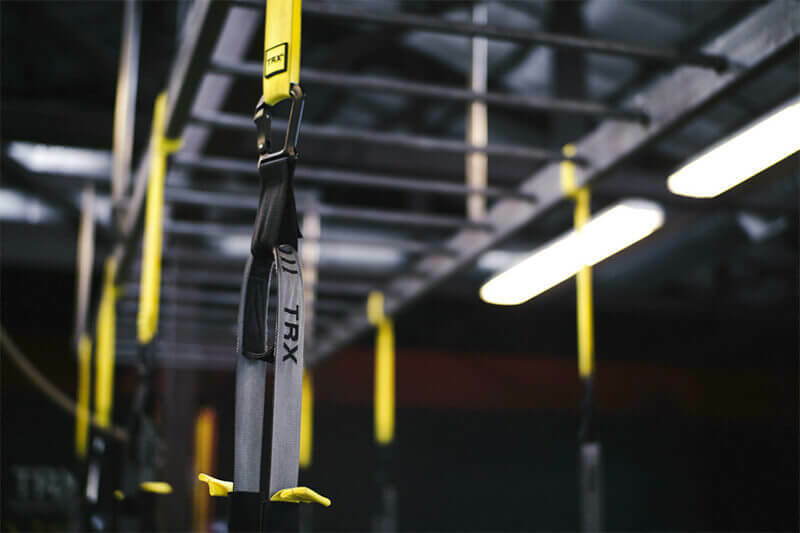 What are the most common mistakes during the TRX workout? 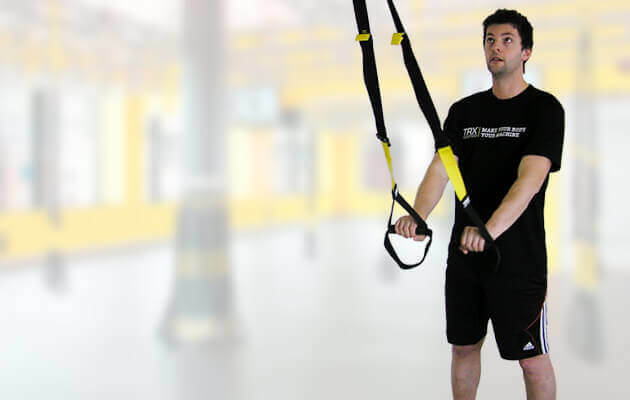 First mistake is the start of the TRX workout itself, when it is necessary to specify a correct body position, so the TRX workout itself can take place smoothly. Correct techniques can be achieved with controlled movements. In case of jerky movements, there is a risk of injury of back muscles. Find the correct body position and feet position. Second mistake is the ending of the TRX exercise. Customize your physical stress by reducing your own body weight and gravity. If you don´t have enough strength to smoothly complete your TRX repetition, move your body and feet back from the anchoring point. Reduce the angle between your body and the ground and reduce the strain this way. Last few repetitions in the series allow you to perform a demanding training. Reduce your physical stress by reducing the angle between your body and the ground. Carry out several repetitions. 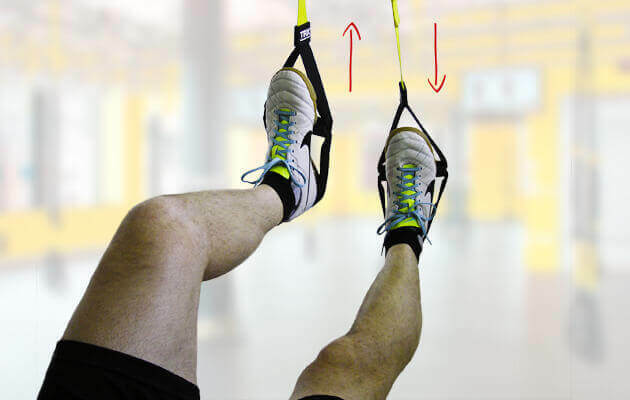 TRX straps should be kept tight during implementation of the exercise. 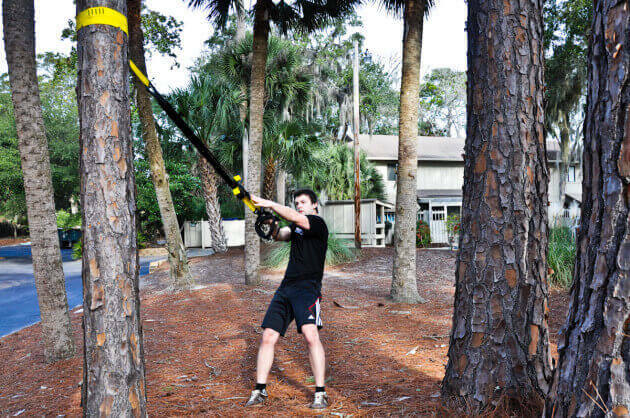 Loose and slack straps reduce the intensity of movement and make your TRX training ineffective. Another mistake is reflected mainly during implementation of chest pressures (TRX Chest Press). 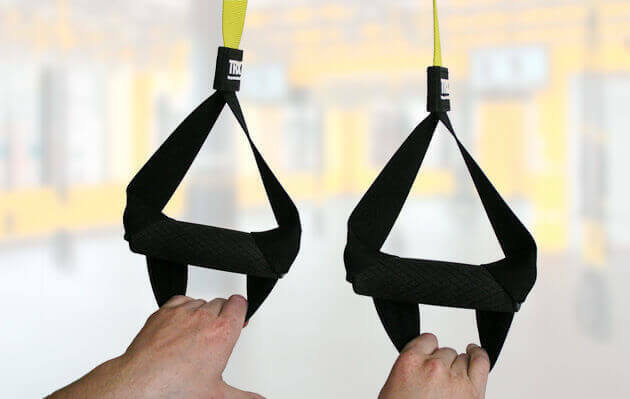 During the TRX suspension, our hands are too low, and we touch TRX straps with our arms. This induces a feeling of greater stability and straps chafe against our arms during the exercise. Raise your arms slightly up, so you prevent touching TRX straps with your arms. While carrying out the exercise, keep the straps tight and develop sufficient pressure on the TRX loop, so you avoid slippage of straps. 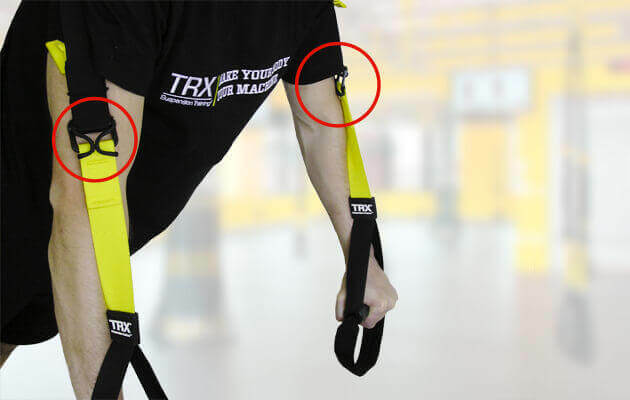 Avoid slippage of the straps while using the TRX Equalizer Loop. Involve your CORE and keep your body in a plank position. 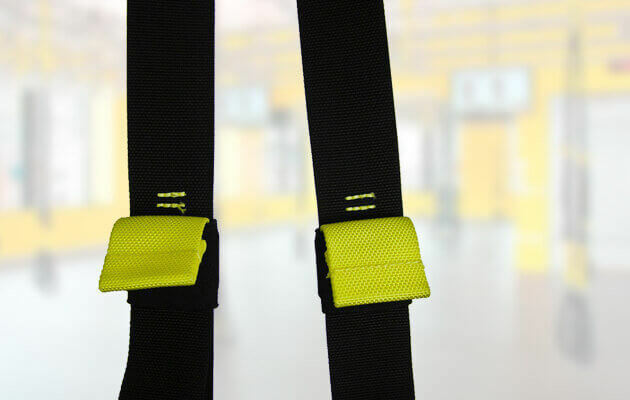 Yellow marks embroidered on TRX straps serve as a guide for correct TRX length setting. Every exercise requires different length of straps. Some exercises are more effective at the maximum length of straps (so-called: LONG = TRX maximum length). Shorter setting is appropriate for another exercises (so-called: MID LENGHT = double yellow mark) or short TRX (SHORT = one embroidered mark). 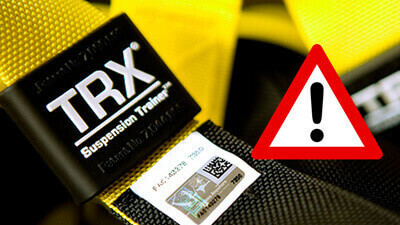 TRX length may vary depending on the height of the trainee.Yellow marks should be levelled on both straps. This will help you to keep your straps tight. 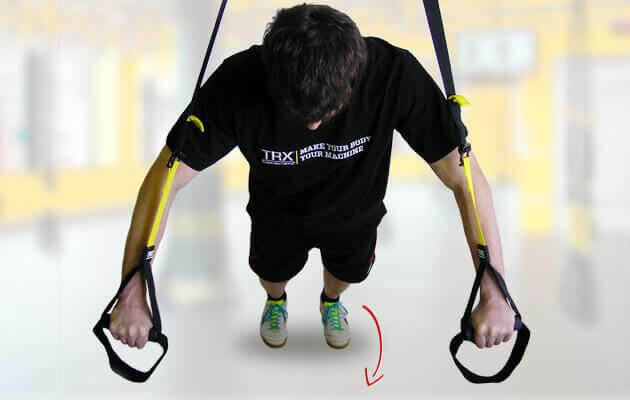 Use yellow marks for correct length setting of your TRX. It may happen that you have a smaller size of feet. Reduce cradle supports by wrapping around the handles. Your legs and feet are too small for cradle supports. Wrap the support around the foam / rubber handle twice. It will reduce the loop you insert your foot in. Your stability will be increased. This trick is also suitable during barefoot exercising.